The Ukrainian Institute for Religious Freedom (IRF) has released a report titled “Religious Freedom at Gunpoint: Russian Terror in the Occupied Territories of Eastern Ukraine.” The paper reveals religiously motivated persecution in the occupied part of the East-Ukrainian region of the Donbas which had accompanied the installment of Russian-backed puppet states there starting from 2014. Back in spring-summer 2014, Russian-backed forces took control of the territory which is now officially referred to as “certain areas of Donetsk and Luhansk oblasts” (ORDLO) in OSCE documents and Ukrainian legislature. “Kidnapping and illegal imprisonment, emotional abuse, physical torture and even murders of unwelcome clergymen and believers of “non-traditional denominations” – all this has become a real nightmare for local religious communities that did not experience such persecution even during the Soviet terror times. This was also accompanied by the seizure of churches and houses of worship, some of which were used as firing positions and barracks for militants, mercenaries and regular Russian troops,” the IRF report’s introduction reads. In April 2015, the Center for Civil Liberties (CCL) and International Partnership for Human Rights (IPHR) in the framework of the Civic Solidarity Platform assisted by the Institute for Religious Freedom issued the report “When God Becomes The Weapon,” giving the detailed first-hand account of religiously motivated persecution in ORDLO based on the results of monitoring visits and personal interviews with the victims. The new IRF’s report “Religious Freedom at Gunpoint: Russian Terror in the Occupied Territories of Eastern Ukraine” shows the current situation and trends in regard to religious freedom in ORDLO, and provides analysis and recommendations how to protect believers from further harassment. Unlike the rest of the Ukrainian population, believers who reside in the occupied territories are currently deprived of the freedom of faith and can’t enjoy the benefits Ukraine acquired and developed since 1991 as a democratic state. Religious communities in ORDLO can’t operate without “state registration,” they can’t print and distribute their literature, they can’t organize peaceful gatherings to preach their religion to children and adults. The believers of the occupied territories can’t now even disseminate their beliefs via mass media and take part in public life. Prior to the Russian occupation, despite the Orthodox self-identification of the majority of Ukrainians, a number of other denominations was present in the Donbas. 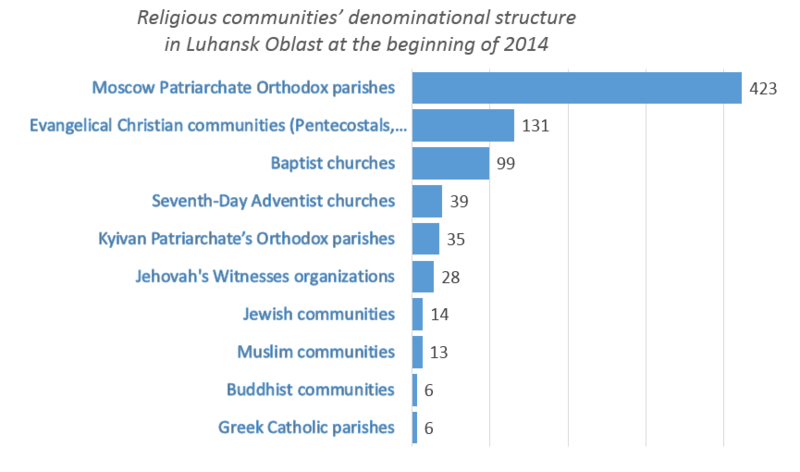 There were 835 religious organizations in the Luhansk Oblast as of the beginning of 2014. Russian propaganda spread the myth that Ukrainian authorities oppressed the Orthodox Church of the Moscow Patriarchate and Russian language, motivating its citizens to “protect” the Donbas population. This narrative has greatly influenced the attitude of Russian-backed militants, mercenaries, and separatists towards believers of other denominations. Some illegal armed groups of the so-called “Russian Orthodox Army” and Russian Cossack detachments openly set out to build a so-called “Orthodox state” in the occupied territories. 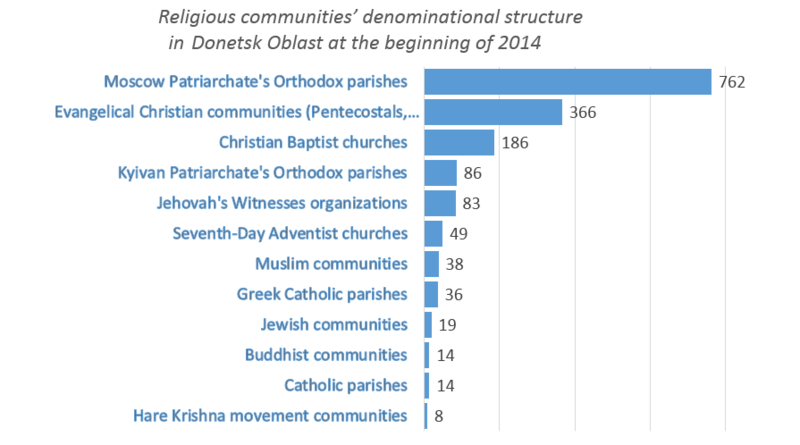 The dominance of Orthodox parishes of the Moscow Patriarchate in eastern Ukraine before the occupation refutes the propaganda narrative that the Orthodox believers needed any protection. Instead, the occupation authorities adhered to the Russian practice of using a religious factor to strengthen their illegal power. 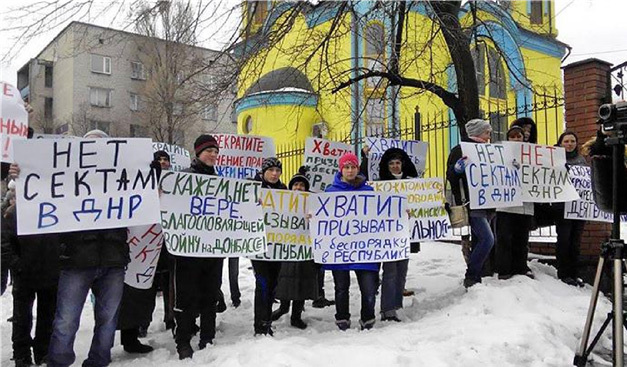 Most churches and faith-based communities in ORDLO, except for Orthodox parishes of the Moscow Patriarchate, are now forced to cease their religious activities or significantly restrict them and to go underground. Occupation authorities seized many temples and houses of worship and forbade peaceful gatherings. The separatist authorities view religious communities as a threat to their power. At the same time, the ideological basis of the occupation authorities is the concept of Russky Mir (“Russian World”), a construct the cornerstone of which is the Russian Orthodox Church. Later the “sectarians” were targeted as “extremists,” “spies,” “saboteurs,” and the accusations led to illegal arrests and confiscation of church property. In May 2016, the Donbas Muftiate (Spiritual Directorate of Muslims) was proclaimed extremist, banned, its several members ended up behind bars. The “DNR MGB” operatives raided the only Donetsk mosque on 28 June 2018, confiscated its religious literature, sealed the premises, and detained the imam and parishioners for interrogation. “Before 2014, in Donetsk there were our communities and the Islamic University branch. However, neither the communities nor the university operate there any more,” sheikh Rustam Gafuri, Deputy Mufti of the Religious Administration of Ukrainian Muslims, told IRF. For now, only one local Muslim community, in the town of Snizhne, remained in Donetsk Oblast out of four. Meanwhile, four Luhansk Muslim communities in the cities of Luhansk, Kadiyivka, Holubivka, and Brianka remain intact. According to the occupation authorities, the Church of Jesus Christ of Latter-day Saints (Mormons) disappeared from the occupied territory. Buddhist communities could not act publicly and had to go underground. Four denominations have become the main targets of religious persecution in ORDLO, namely Evangelical Christians, Kyivan Patriarchate’s Orthodox communities, Greek Catholics, Jehovah’s Witnesses. The Report concludes that Baptists, Pentecostals, Charismatics, Adventists, and other Evangelical Christians (Protestants) are experiencing the greatest oppression by the occupation authorities. Back in 2014, the reports on illegal arrests, beatings, tortures and even murders of Evangelical Christian pastors and clergymen were frequent. Intimidation of the pastors of Evangelical Churches has been taking place both in Donetsk and Luhansk: they’ve been arrested, beaten, subjected to simulated shooting and other torture. For now, the Evangelical Christian communities are forced to act secretly, not announcing their activities. “Throughout the war period, our churches are semi-legal. Although the believers can gather, they still have no rights and guarantees of security. And charity is forbidden,” the Ukrainian Pentecostal Church commented on the issue to IRF. 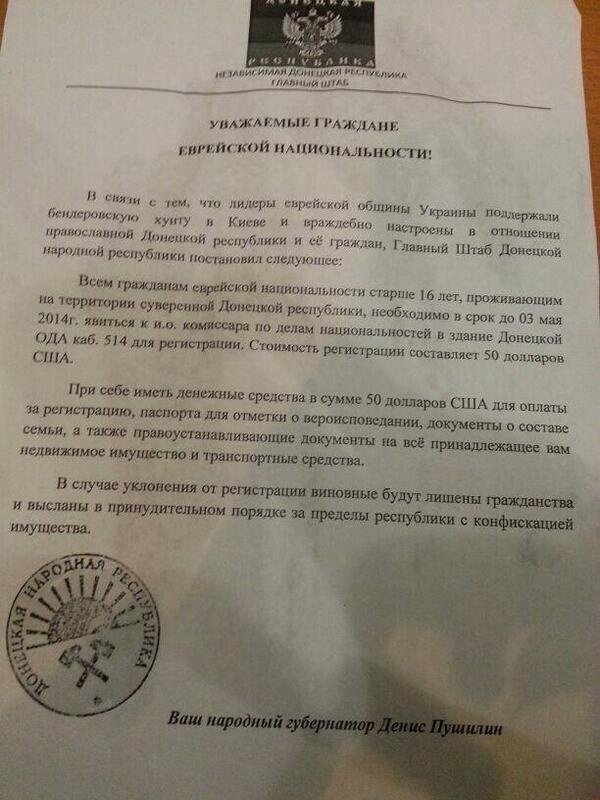 On 15 May 2014, shortly after the beginning of the aggression, the Kyivan Patriarchate published a statement reporting that, in the territories seized by Russian-separatist forces, armed individuals broke into the temples of UOC KP demanding that the clergy immediately turn themselves over to the Moscow Patriarchate’s command, the militants declared a “death sentences” to the Patriarchate’s priests, threatening lives of the clergy and believers of UOC KP. In February 2015, 30 out of 40 parishes in the occupied territories ceased their activities under the pressure of separatists. Until now, the UOC KP priests cannot carry out their ministry openly, and most of the parishes of the Kyivan Patriarchate remain closed due to a lack of security guarantees for believers. Tikhon (Serhiy) Kulbaka, a priest of the Ukrainian Greek Catholic Church (UGCC), was arrested and tortured in July 2014. The militants forced him to suffer without water and medicine for diabetes, and simulated his execution. UGCC has still been labeled as a “sect” in the occupied territory. A rally staged by “DNR” authorities near the Greek Catholic cathedral. 29 January 2016, central Donetsk. Jehovah’s Witnesses reported in July 2015 that since August 2014, occupation authorities abducted and abused 26 members of their community in the Donbas. In 2016, they reported on 15 more. The believers were released in the end, but their religious activities have been banned under the threat of arrest and fines. In August 2017, “DNR” recognized a number of Jehovah’s Witnesses’ religious materials as extremist and banned them. In late 2017, “LNR” authorities proclaimed the organization as their enemy. “The growing wave of religious discrimination and the pressure exerted on Jehovah’s Witnesses in some parts of Donetsk and Luhansk regions can no longer be considered as mere hostile acts – these are true religious persecutions and the threat to religious freedom,” Jehovah’s Witnesses commented on the situation to IRF. According to the Report, illegal confiscation of religious buildings has become a widespread practice of occupation authorities in eastern Ukraine. 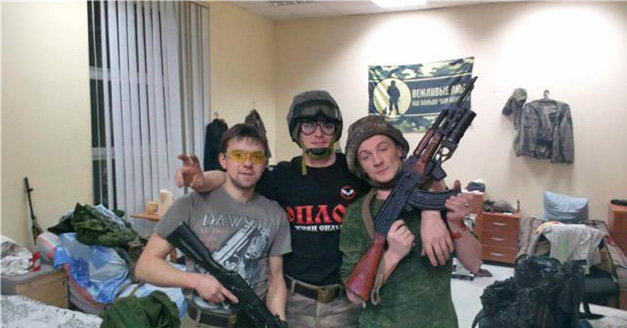 Back in July 2014, the “DNR” seized the premises of the Donetsk Christian University (DCU). The total area of the DCU is 8.5 hectares, including a campus and a hostel with 75 rooms. Until now, the DCU complex of buildings remains the Russian military base. Members of the Russian-hybrid forces on the premises of the Donetsk Christian University, July 2014. According to the Ukrainian Christian Evangelical Church, their 1,000-seat main church building in Donetsk has been seized since August 2014. The authorities of both pseudo-states seized 17 Kingdom Halls belonging to Jehovah’s Witnesses in 10 cities of both occupied regions. In June 2018 in Makiivka, a Donetsk city suburb, “DNR” closed and sealed the house of worship of Pentecostal Christians without any explanation. A month later, one more house of worship was sealed, this time belonging to the “New Life” Evangelical Christian Baptist Church. IRF referring to a comment by leaders of the All-Ukrainian Union of the Churches of Evangelical Christian-Baptists, reports that “DNR” authorities closed the houses of worship since they were privately owned, instead of being registered as religious buildings. Similar stories were told by the believers of the Seventh-day Adventist Church. 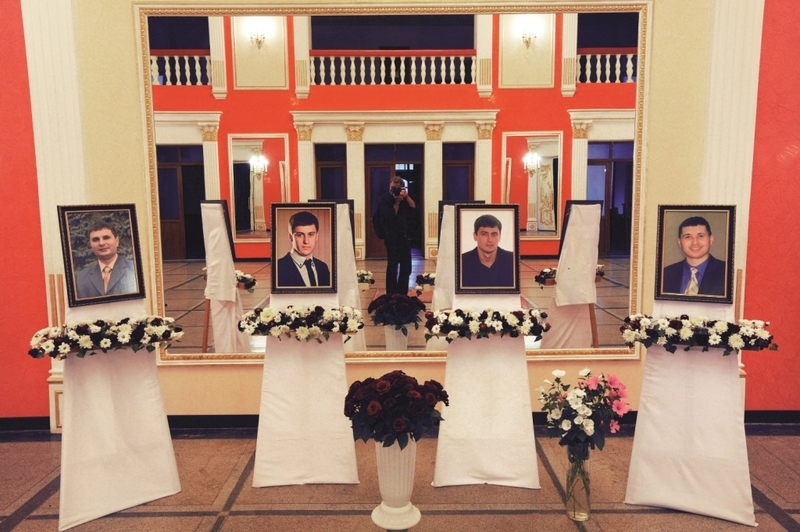 The occupation authorities of Donetsk opened a few wedding palaces in the religious buildings they had confiscated from the Church of Jesus Christ of Latter-day Saints (Mormons). According to Mormon officials, none of their buildings in the occupied region are used by believers because of religious persecutions and threats to their lives. The Kremlin leadership keeps denying the very fact that they have invaded Ukraine’s east and have been controlling the region. There is no legitimate power there that could bear responsibility for the of human rights violations and non-compliance with international obligations in this area. Religious persecutions and oppression of religious freedom, whose horrendous scale reached unprecedented cruelty in 2014–2015, continue in the occupied territories of eastern Ukraine today. The arbitrariness and impunity of Russian militants created an atmosphere of fear and forced some entire communities to flee the region. The number of religious organizations has dramatically fallen, many religious communities lost their clergy since the church leadership was the first to experience the crackdown on unwelcome denominations. The Russian-controlled occupation authorities of Donetsk and Luhansk “people’s republics” go unpunished, bearing no responsibility for their numerous religiously-motivated crimes, which can’t even be properly monitored by human rights organizations. “This encourages Russian militants and Russian-backed separatists to continue their violence against believers in the occupied territories of eastern Ukraine,” the Report acknowledges. Read the full report “Religious freedom at gunpoint: Russian terror in the occupied territories of eastern Ukraine” on the website of the Institute for Religious Freedom.